The message, according to Johnson: Love means different things to different people. Not everyone defines it the same way. 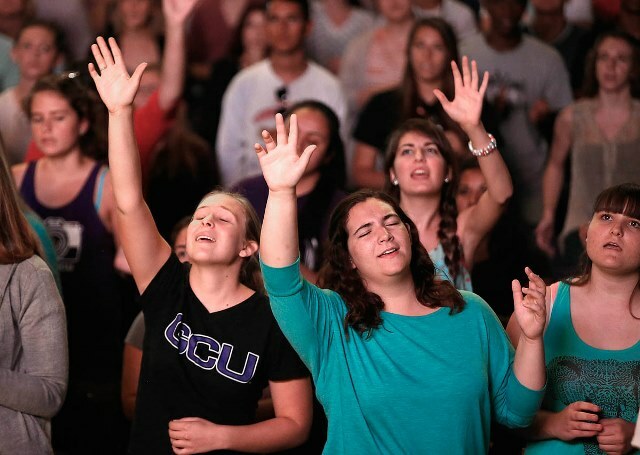 GCU students are moved by the music of the Chapel band Monday morning. Johnson noted that when Jesus was asked what the greatest commandment is, he said that it is to love God but also to love your neighbor. He never simply said the key is to love God alone. But Johnson also said that love starts with God — we don’t generate it ourselves. God works through us, not the other way around. Johnson suggested trying an exercise his friend made up, called “The Carrot Cake Game.” Just as carrots and cake wouldn’t seem to go together but somehow do, it’s interesting to create two stacks of cards, one for all the things you’ve been given and one for all of the needs in the world around you, and put them together randomly to create new ways you could help the world. For example, one of the things you’ve been given could be a garage, and a need you see in the world is the plight of overworked teachers. You could use your garage to clean their cars while they are at work — just a nice little thing that brightens their day. 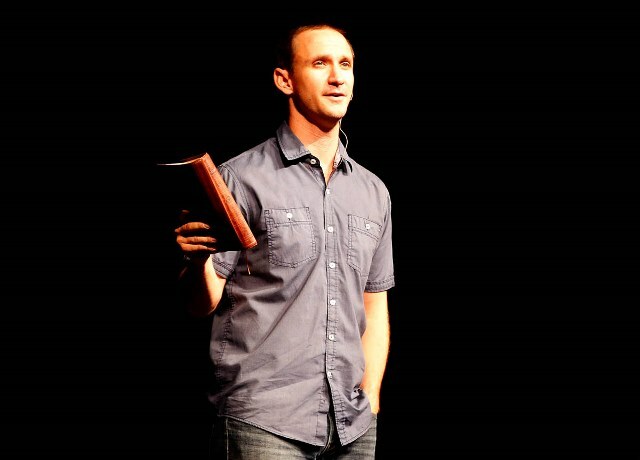 For a video replay of Johnson’s talk, click here. For a slideshow of Monday’s Chapel session, click here.